Vintage Christmas Decor: ideas for creating your own vintage and victorian christmas decorations and some easy activities you can do with the kids. It has been a tradition to decorate homes at Christmas time for many centuries, not always to celebrate Christmas as we see it today but also to celebrate the winter solstice. So what did the Victorians decorate their house with at Christmas time? Well, it was customary for people to bring the plants that survive the winter indoors to decorate the house. Plants like holly, ivy, mistletoe, yew, laurel, box and even rosemary adorned Victorian houses, especially the fireplace. 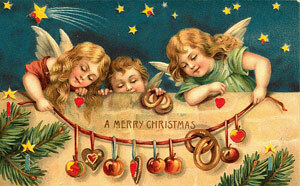 It was common to see edible decorations on the Christmas tree for example, fruit, nuts and cookies, especially gingerbread baked in various shapes, such as hearts, stars, angels, bells and of course gingerbread men. Streamers, paper chains and tinsel were also used, though tinsel looked very different from that of today. 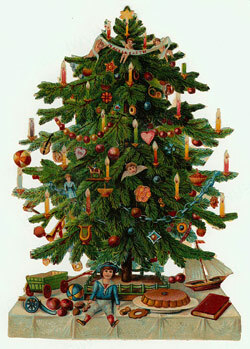 They also used painted baubles to adorn the Christmas tree. See what you can find in your local area. Look for pine cones, holly and any other greenery that you can. 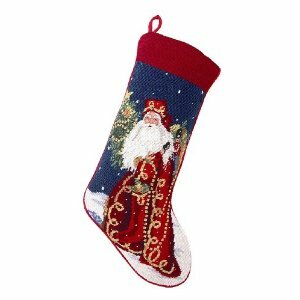 These can be used to decorate the mantelpiece if you have one and pine cones would look beautiful on the Christmas tree. You could even spray them gold or silver. Copy the Victorians and make your own edibles christmas decorations. You can make cookies using cookie cutters and decorate them with white and red icing or you could make pomanders out of cloves and oranges. Paper chains are a fun and cheap way to create decorations with your kids. You can make paper chains using coloured or patterned paper or you could even make paper chains out of leftover Christmas wrapping. 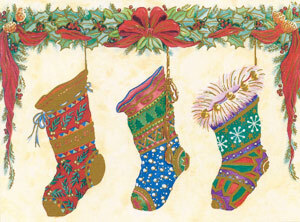 Here are some ideas for lovely vintage christmas paper . If you decide to download any of these free christmas printables, take a look at the downloading and printing tips.